Religious intolerance and more generally belief systems that claim to give you all the answers so long as you stop questioning. And a story of folk horror based on English traditions and the bleak lonely landscape of the Peak District – the awakening of a supernatural creature older than humanity. All my characters are based on observation to some extent, but a character is very rarely drawn from a single real person. It’s more a matter of assembling a new person from traits borrowed from many, and some imagined traits too. What’s most important, especially in a story such as this one that deals with the supernatural, is that the characters should behave as real people might conceivably behave. Don’t despair, even when your work is rejected. Keep writing, and don’t leave work unfinished. Learn to enjoy rewriting as soon as you can – every piece of work needs it, believe me. Tell as much of the truth as you can. Always compose at least the first sentence before you sit down to write. Identify your most creative time to write and, if you can, work then – if not, try at least to write some of your new piece every day until it’s finished. I’m up at my desk that looks towards Liverpool across the river, and I always see the dawn when I’m working here. Some writers prefer to face a wall so as not to be distracted, but I believe I draw energy from the view, not least the ever-changing sky. Do you find it harder to write, or for someone to edit your own work? I haven’t plotted a novel in advance for many years – I gather material until the book feels ready to be started. I believe in letting the tale develop organically and surprise me as it does. 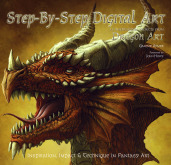 The dark side of this is that I can find myself stranded far out in unknown territory with no idea how to proceed, but I trust the novel to rescue me – generally there’s material earlier on that proves to be the solution to where I need to go next in the story. It certainly can be hard to write, but more often it’s rewarding, even exhilarating. I’ve come to regard the first draft as a way of setting out what I need to work with. I’m increasingly ruthless at rewriting and enjoy it a good deal. Because I’ve always loved the field. I started writing in it to pay back some of the pleasure it has given me and in the hope of adding a little of my own to it. Some of its greatest tales – Algernon Blackwood’s “The Willows”, Arthur Machen’s “The White People”, Lovecraft’s “The Colour out of Space” – ,reach towards awe, and that’s my ambition, however much I may fall short of it. You’ve been writing horror fiction for more than half a century. Do you ever run out of material? Not while I live and perhaps not even beyond that. I’ve notebooks full of ideas waiting for development. I believe the field is so wide I’ve by no means found its limits (by which I don’t mean excessiveness, but its ability to contain a great deal). The uncanny, the psychological, cosmic terror, social comment, comedy of paranoia, the monstrous both human and inhuman – they’re all in there, and more. 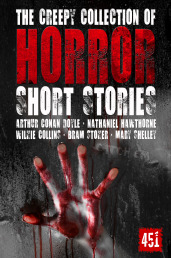 Some critics might suggest that there is enough horror in the world without creating it? Would we say there’s enough crime in the world, and enough tragedy? Yet I’ve never heard those observations used as an argument that people should stop writing crime fiction or tragedies. For that matter, since there is indeed horror in the world, how could some art not reflect that? It’s also true that much horror fiction, whether supernatural or psychological, deals with a different kind than the horror in the news, though some of the fiction does indeed confront everyday experience. I’m completing the third volume of a supernatural trilogy that spans most of seventy years, ending up in something like the present – The Searching Dead, Born to the Dark and now The Way of the Worm. 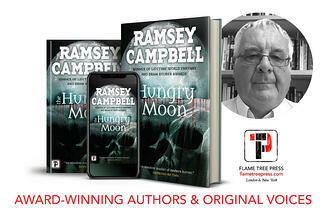 Ramsey Campbell was born in Liverpool in 1946 and still lives on Merseyside. The Oxford Companion to English Literature describes him as Britain's most respected living horror writer. He has been given more awards than any other writer in the field, including the Grand Master Award of the World Horror Convention, the Lifetime Achievement Award of the Horror Writers Association, the Living Legend Award of the International Horror Guild and the World Fantasy Lifetime Achievement Award. In 2015 he was made an Honorary Fellow of Liverpool John Moore's University for outstanding services to literature. Among his novels are The Face That Must Die, Incarnate, Midnight Sun, The Count of Eleven, Silent Children, The Darkest Part of the Woods, The Overnight, Secret Story, The Grin of the Dark, Thieving Fear, Creatures of the Pool, The Seven Days of Cain, Ghosts Know, The Kind Folk, Think Yourself Lucky and Thirteen Days by Sunset Beach. Needing Ghosts, The Last Revelation of Gla'aki, The Pretence and The Booking are novellas. His collections include Waking Nightmares, Alone with the Horrors, Ghosts and Grisly Things, Told by the Dead, Just Behind You and Holes for Faces, and his non-fiction is collected as Ramsey Campbell, Probably. Limericks of the Alarming and Phantasmal are what they sound like. 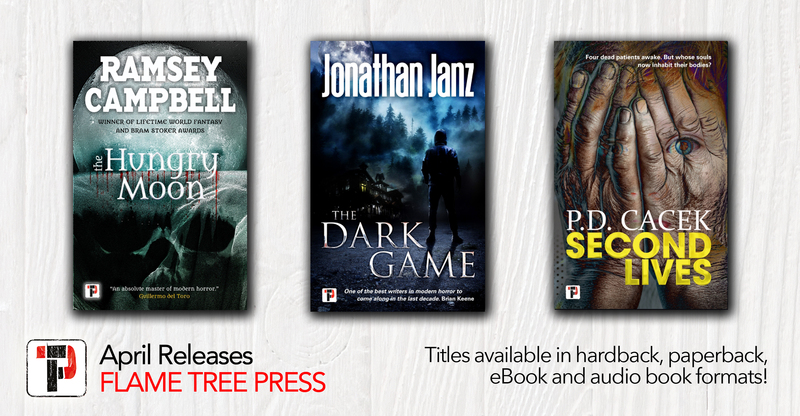 Make sure you check out all three of our April titles!